This is a complete pugmill system, unused and ready to go to work. This is a rare opportunity to save $300,000 over the cost of a newly built system. See one operating? A recently delivered system can be seen operationg at Petta Industries in WV, who recently took delivery of an identical pugmill system with bin and silo. 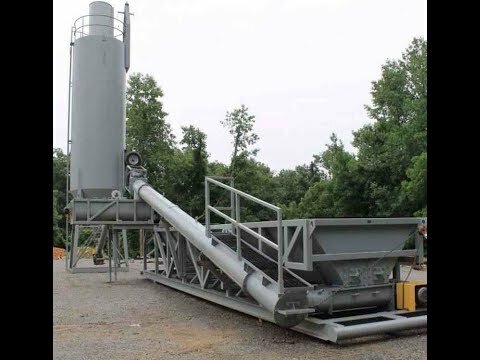 The system was setup as a BSP, Bulking and Solidifying Pugmill System for dredging remediation and soil remediation, to allow quick and efficient bulking/stiffening of these materials, suitable for the landfill or use as base materials. These pugmill systems were originally built for the natural gas and oil industry, with a dozen or so systems in operation througout the US. If you're in the oil and gas business drilling wells, this system will allow economical thickening of your drilling mud for quick disposal. Operation and Setup: The system can be easily transported. Material is loaded into the feed bin (a scalping screen can be fitted on top). Twin screw feed augers situated along the bottom, move the material to a cross-screw conveyor to a an incline screw with AR hardened steel ends and into the 30-50tph pugmill. The pugmill also uses AR hardened paddle pads. A portable silo with air cannon and shakers is situated alongside. The vein feeder from the silo can be synchronized. An electrical panel houses the breakers and controls which allows monitoring and precision feeding of lime or other products to mix with tailings in the pugmill. The end product can then be safely disposed of. 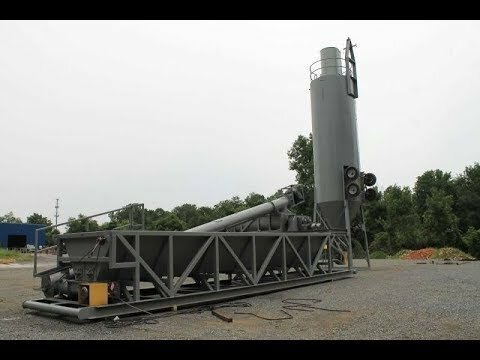 Overview: Self-contained, easily transportable 30-50tph pugmill system, designed for mixing dredging material or well drilling mud tailings with lime, fly ash, cement, etc. Also suitable for other applications. Can be used to reduce soil pH, thicken and bulk up dredgings or mine tailings for landfilling. How it works: Drilling mud is dumped into the large extra heavy-duty cold feed bin (with a safety screen atop). Material passing through the screen deck is then moved along via a twin screw auger feed system, to a cross screw, then to a vein feeder with AR hardened tips. The incline auger discharges material into the elevated 30-50 tph pugmill. A large silo is included, compelte with vein feeder, air cannon, vibrators and electronic control package. 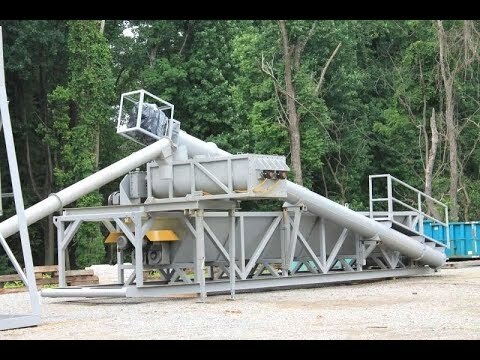 Material feed rate from the lime silo can be adjusted to delivered the desired outflow to the pugmill where the materials are mixed. The system is complete and includes the control house with breakers, drives and cabling. (Replacement cost of control house alone is $68,000) The controls allow you to synchronize the pugmill with the vein feeder, for ideal proportioning of lime or other agents, reducing the likelihood of under or over bulking the materials. Saves you time and money. Allows you to set up at a centralized location for soil remediation. This exact system is operating successfully in a dozen locations serving the coal, oil and gas industries. LATEST CUSTOMER: Petta Enterprises of WV, is using the system as a centralized processing hub for for well-drilling mud tailings requiring disposal. This is a $500,000 system being offered at a fraction of the price.